(Above: well that's as good a way as any to introduce our Sunday meditation). 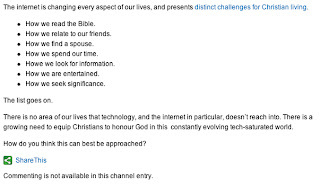 Before we do our round of the local churches, how about we kick off proceedings with Katherine Stewart's How Christian fundamentalists plan to teach genocide to schoolchildren. God got pretty agitated that Saul spared the king and kept a few calves and lambs. That's not how you do a genocide! Any way Katherine Stewart has some fun with the Good News Club - Clarence Thomas and US Supreme Court approved - and its message to American children that Saul was a failure, not for having wiped out a people, but because he didn't do the job properly! "If you are asked to do something, how much of it do you need to do before you can say, 'I did it!'?" "If only Saul had been willing to seek God for strength to obey!" the lesson concludes. "How did King Saul only partly obey God when he attacked the Amalekites? (He did not completely destroy as God had commanded, he kept the king and some of the animals alive.)" Only in America. If you're going to do a genocide, do it right! Yes Adolf, what a flop you were (and there's a dollar for the Godwin's Law swear jar). Speaking of fundamentalists, that's an easy segue over to the Sydney Anglicans, and the mystery of the wayward, derelict Michael Jensen, still stuck on sin four in his 7 sins of Sydney. Where's he gone, will this writer's block never end? That leaves us to brood with Phillip Jensen about the difficulties of reconciling folk in relation to a Commonwealth Day Service in the cathedral, with the Queen, the Duke and Prince Edward present. (As Good As It Gets). Members of the Cathedral, even Chapter members, were tolerated but not really welcome. Yes, what do you think about all these pressing matters,? But sorry, comments aren't available. Please just go away and think in silence. This led the pond to think deeply on Steve Kryger's words, and pose a question to readers. How to provide links that work. It turns out that's only the Labor Party trying to get its message across - using social media - that it's not engaged in class war, but hey, when you're trying to whip up alarm and panic, any port in a storm. Why the integrity of Christian marriages is at stake!! Phew, demonic staring Anglican eyes. So what else? Well we could stir up the Jewish community, but Michael Brull's already done a nice job of that with Israel doesn't deserve unconditional loyalty. And we could take a look at the Church of Murdochology (a newly devised faith-based religion which somewhat resembles the Church of Scientology), but what more can be said than is said in Jonathan Holmes' Cooking up 'errors' In Media Watch's reporting and in Martin Hirst's Groupthink alive and well at News Limited. In The Weekend Australian (26 May), Chris Kenny gives a detailed definition of what "groupthink" has come to mean within News Limited. When a collection of like-minded people engages in a common pursuit for extended periods, a form of consensus can take hold. If it leads to a form of self-censorship, then it acts against instincts for questioning or dissent, and this is at odds with an open-minded sense of inquiry fundamental to journalism. That may be so, it is not a bad start, but it does not just describe an ABC mindset. Organisational cultures tend to favour groupthink. The Australian's Chris Kenny dismisses the paper's own groupthink on the grounds that News Limited is a private company. This mindset can be described in another of Orwell's neologisms "doublethink" – simultaneous denial and acceptance of an unpalatable truth about oneself. Yep, when it comes to doublethink, the Church of Murdochology is right up there with the Scientologists, and Robert Manne in The Monthly, using Watson's Dial M for Murdoch as a springboard, has done an excellent summary of the devious, underhand, duplicitous, scheming, outright villainy and corruption that went on in Britain (and also in Scotland) ... right up there with the "butler did it" (but maybe he didn't) scandal showing the depths of sordidness, hypocrisy and power craziness at work in Vatican City. (Murdoch & Company: Rupert is finally reaping what he sowed). 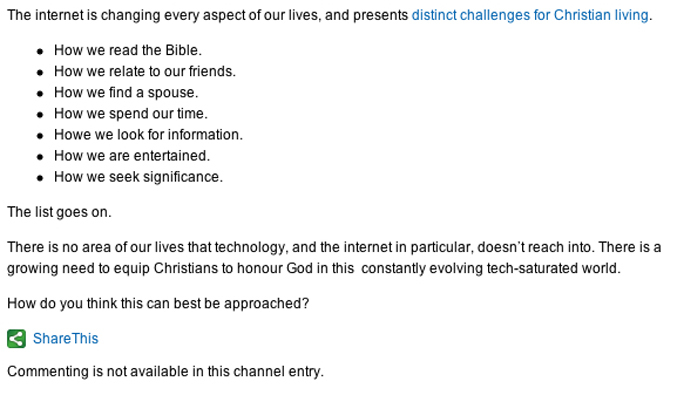 It's just a suggestion, but shouldn't The Australian start thinking of handing out M-meters (new and alphabetically more advanced than E-meters) to their readers, as a way of maintaining the faith and checking there are no deviants in their midst? Now that only leaves Muslims to offend. 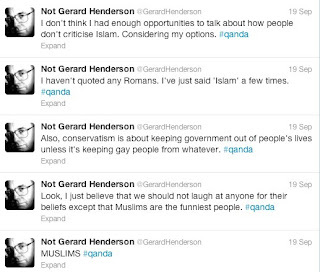 Oh heck, enough already, if we slag off the Islamics, how would the likes of Gerard Henderson be able to whinge? Will those Chaser lads ever head off to medieval Mecca the way they did over the medieval Pope? 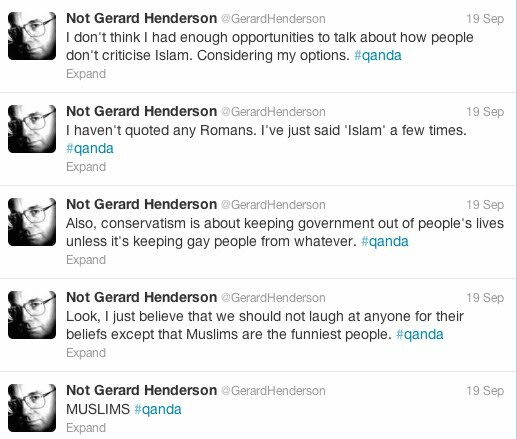 Well it might not be the real Gerard Henderson, but it sure sounds like him. (here for not Gerard). Done! Islamics are the funniest people, almost as funny as GH. (Below: and since we opened with Carl Barks, why not end with him. Forget genocide, the intertubes, and factual journalism, there's only one real sacrilege. Blowing round bubbles with gum! Square bubbles only please if you want to enter Valhalla. 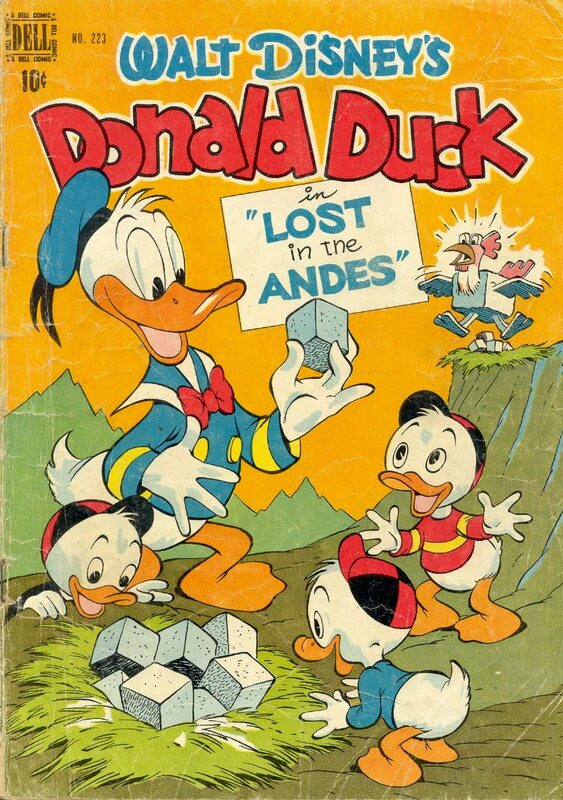 Click to enlarge, the rest is in the comic Lost in the Andes). 'Lost in the Andes' was a collectors' item back in the day of my errant childhood, swapping comics. Call it the social media of the era. Oops, nearly forgot how you despite the trend, DP, but, there you are, quoting the execrable Twitter. I'm setting up a #CloneRoop tag, to sign on thousands of womb-bearers to offer their bodies as surrogate hosts for the spawn of The Saviour of Mankind. We could, in few years, have a Roop on every block, willing & able to keep us all heading in the correct direction. Remember how all those 100+ News organs decided, with 100% editorial independence, to pronounce the Invasion of Iraq to be an eternal good? Here's the Great Man today, Rupert Murdoch ‏@rupertmurdoch Did White House leak highest security secret possible yesterday about cyber attacks on Iran? If so, dangerous, maybe scandalous, game. See, Roop is right onto that well-worn POTUS play. When the economy tanks, start a war, and before we know it, oil will be down to $14. So, what's the problem with a Stuxnet or drone war on Pakistan, or Iran, or Syria? Well, it's only theologically correct if the leaks are in the proper direction - to News agents. Then, with the full support of Roop, any war, no matter how filthy & disastrous, will be pronounced a success. By independent editors, to boot, and not to forget our very own Greg "76 submarines" Sheridan. The only problem I've spotted so far is that http://www.theage.com.au/photogallery/opinion/john-spooner-20090716-dmsv.html drew the conclusion first. But that shouldn't discourage Roop, who has a whole stable of 'toonists in his hand, and none of them saw the slightest risibility in Abbott's "tacky". Roop, of course, is the Master of Dissonance. Abbott is getting pretty good at it, too. Pretty soon, he'll confirm his elevation to the pantheon with those memorable lines, "We do abhor violence". News!Flash! DP, Nic Carr (The Shallows, Rough Type) blogs about Oprah's new eBook club. Now, here's a delicious thought. How about eBooks that have been carefully selected, thoughtfully annotated & distributed by Roop? What a great way to get The Thought into the minds of the masses. I'd love to have Roop lead me through Ulysses, or Pirsig's ZATAOMM. 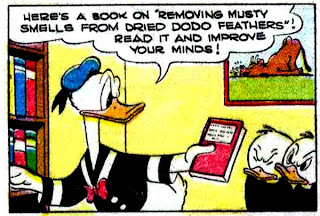 Getting back to the comics, those Classics that abridged the timesomeness out of literature, while Roop is at it, couldn't he delete a lot of the irrelevant & the irreverent stuff? I'm pretty sure that an edited colloquium could convince us that the Barrier Reef should be mined for oil & minerals. The Sydney Anglican "evil eye" is promoting the "one eyed" Sydney Anglican publican known to some as "Not the Southern Cross!" and it looks like the bulk of the publication is dedicated to gay bashing. 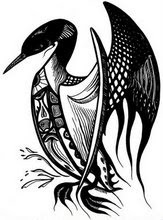 The FCA are a group of Anglicans who objected to the ordination of Gene Robinson and no doubt women bishops in England and Sydney Anglicans are pivotal to the existence of this group. What's funny Anon - the perpetual gay and women bashing can't be called fun - is the way the web designer clearly thought Orwellian Big Brother demonic staring glaring eyes conjured up the tone and out-reaching ways of the site. Was he (presumably no her was involved) being post modern ironic? Or do those eyes really capture the way the Jensenists keep watch over their flock? I think those eyes tell all about the way the flock is controlled. Anyone caught deviating and the shepherd moves in with the hungry wolf. Sheep gone and problem solved!